Heeft u een vraag voor Xiamen Koala Home Hostel? Gelegen in Xiamen Internationaal Cruise Terminal, maakt Xiamen Koala Home Hostel de perfecte keuze voor reizigers die Xiamen en omgeving willen bekijken. Het hotel ligt niet ver van het stadscentrum: de afstand is ongeveer 0.5 km en het duurt, over het algemeen, ongeveer 25 minuten om het vliegveld te bereiken. Ook Tongan department Store (Zhongshan Road), XiaMen BoBing MinSu Jie, Paris spring department Store (Zhongshan Road) zijn eenvoudig te bereiken. De faciliteiten en diensten die door Xiamen Koala Home Hostel worden geboden, garanderen een plezierig verblijf voor gasten. Enkele voorbeelden van voorzieningen die de accommodatie biedt, zijn gratis wi-fi in alle kamers, 24-uur beveiliging, supermarkt, wasserette, post service. Xiamen Koala Home Hostel beschikt over 50 gastenkamers. Deze zijn allemaal smaakvol ingericht voor optimaal comfort, met voorzieningen zoals internet (draadloos), draadloos internet (gratis), rookvrije kamers, airconditioning, verwarming. De accommodatie biedt een uitstekende variëteit aan recreatieve voorzieningen, inclusief biljart, speelruimte. 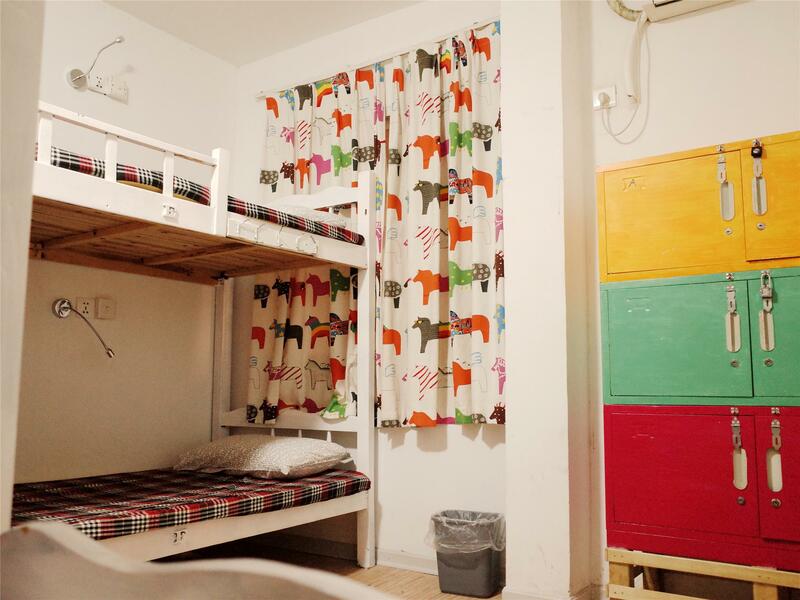 Geniet van een geweldige locatie en ongeëvenaarde services in Xiamen Koala Home Hostel. In overeenkomst met de regelgeving van het Openbare Veiligheidsbureau van Xiamen dient iedere verblijvende gast zich met een geldig identiteitsbewijs of paspoort bij de receptie te registreren. Inchecken met het identiteitsbewijs van een ander persoon is uitdrukkelijk verboden. Gasten die jonger dan 16 jaar zijn en geen paspoort of identiteitsbewijs hebben, dienen zich met een bewijs van registratie of geboorteakte te registreren. 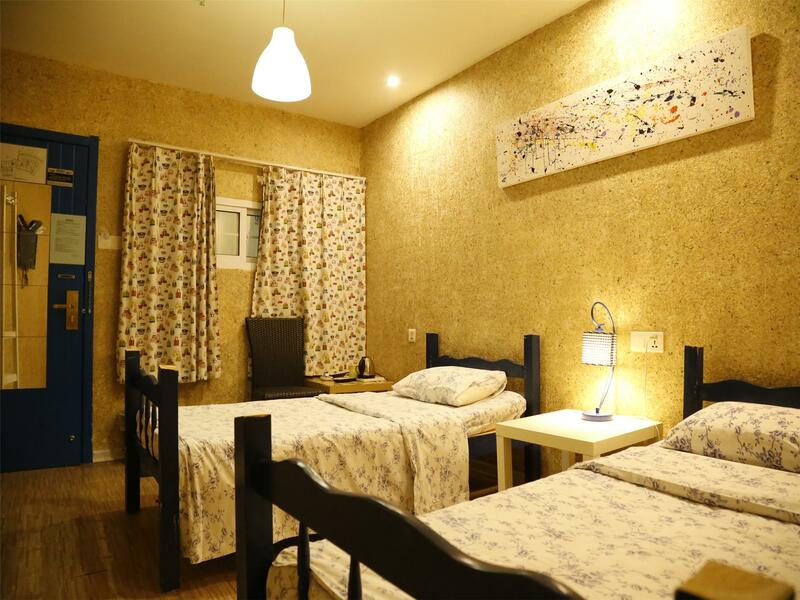 Hostel is centrally located, but finding it for the first time a bit tricky - it is located behind PCD Stores along Zhongshan Pedestrian Street. To find it, you have to take a side street (facing Adidas), the entrance would be at the back. Hostel is quite nice and inexpensive. Hotel staff can communicate in English and I also appreciate that even if I arrived past 12am, there were staff who could help me with check-in. 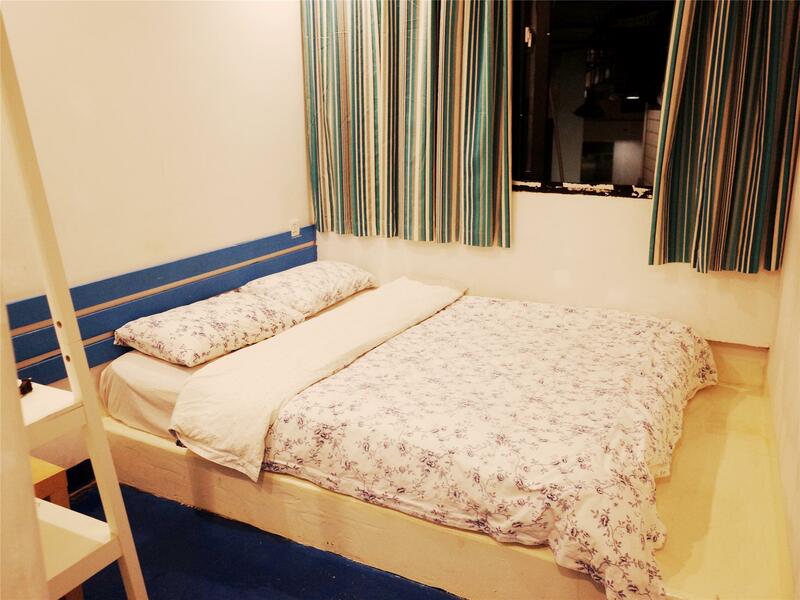 Basic room necessities are provided and bedding is quite comfortable. The hostel is centrally located. It's a bit difficult to find as it's not really on the main street. The room is clean and you can check in 24 hours. The bathroom is small and stinks a bit and perhaps they should clean it more often. Love to stay in this hostel! First of all, the location is really great! Just close to the Main Street. Second, the staffs are nice, one of the short hair girl is helpful! Third, the bed is clean, bathroom also good. Overall is valuable! you're better off staying at a Chinese chain like hanting or 7 days. I asked about booking a tour. they pointed at a Chinese poster and said to call that phone number. so you get the same clueless and rude service that you'd get at a chain except with a dirty bathroom and long black hairs in your bed. Located just off of the busiest pedestrian street, it's a great choice. Staff were functional, but not friendly. the room was clean, and comfortable. It was a nice stay. We stayed for two nights. They provided a tour that we wanted to take and were helpful and honest about it. The room was descent. It could have been a little cleaner, but for the price and that it was a hostel, it was decent. Overall, not a bad place for a budget hostel. It provides an economical place to stay at Xiamen, when compared to the goods and food sold nearby. It's clean and close to the busiest shopping zone. However, guests should aware that curtain instead of a normal door is used as the toilet door, which is quite cool when taking shower in winter time. The room's insulation is too bad. The hostel is very close to Chong-Shan Road walking area. You can find any local cuisines you hope to enjoy. First ofF, I like Koala far better than nearby mid-range hotels because it's a real hostel, complete with wandering young people from all over the world who want to stay up late and drink beers and talk of their plans and dreams. This wonderful free-thinking vibe is common in other places, but not China. Rooms are acceptable, though my garden-level room just wouldn't put out hot water, only warm, which earns them a disappointing two stars on facilities. I would nearly say the same of the staff, but their friendliness almost makes up for their total lack of helpfulness on their city or its attractions. It's clean enough, sort of smells like young people in there. Hey, Chinese hotels are not at a high standard,so this counts as one of the best places I've stayed in a city. Terrible and disgusting. The sheets provided were covered in mouse feces and the staff did not provide me and my roommates with towels. They didn't even suggest a place where we could buy them. The bathroom never had soap and the floors were dirty. The only good thing was that it had met the basest requirements for life. I've stayed in a decent number of hostels and this one was pretty bad. We stayed as a group so we booked multiple rooms. One of the rooms had rat feces on the bed. There were also no towels. Another room had insects crawling on the bed. Not bed bugs, but something else. I spent the whole night trying to kill these things. The bathrooms in the double rooms are see through which is just plain awkward. I don't expect a 5 star hotel but feces, insects and see through bathrooms? I'll pass. right in the center ofshopping street and ferry port. cheap place for backpackers . anyway worth your money. Location is ok but the toilet is bad that no door,wall.it's only got a glass wall transparent. Everything is good. However, some staff are not helpful.